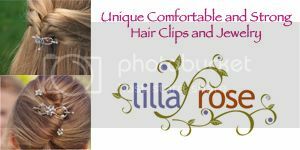 Lilla Rose Offers a variety of hair products including their popular Flexi Clip. They come in a wide variety of designs and array of colors and are truly unique. The beaded wire flexes around the hair, and their patent pending sliding pin holds it together. You can wear it in a variety of hairstyles and will barely notice you have it in! 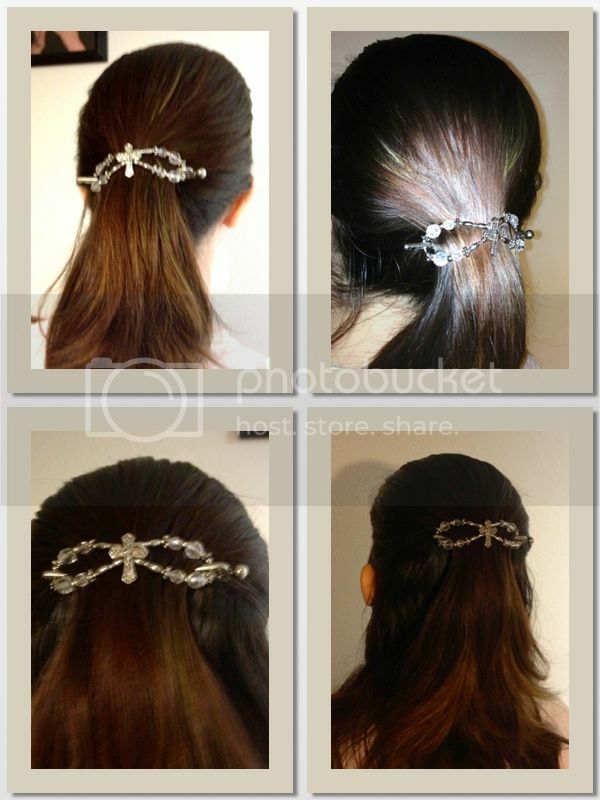 View the full Lilla Rose Flexi Clip review on Pea of Sweetness. Our awesome sponsor - Sarah, Independent Lilla Rose Consultant has opened a party exclusively during this giveaway and is offering all readers and party guests an EXTRA bonus of a Buy-3-Get-1-Free flexi clip deal. Anyone who purchases 3 or more flexi clips during this giveaway party will receive a voucher / rebate for a $16 Lilla Rose item of their choice! :) Shop at this special Lilla Rose Party to receive this special party deal. About the Giveaway: This giveaway begins on 2/23 and ends on 3/9 at 11:59pm (times are EST) and is open to US Residents ages 18+. Please refer to the full terms and conditions in the Giveaway Tools. Disclosure: I received no compensation for this publication. My opinions are my own and may be different than yours. Sparkle Me Pink is not responsible for prize fulfillment. I like the fact that you can wear these clips in any and all hair types.